If you’re like me and use Microsoft Exchange or Office 365 for work or school, you’ll quickly find out how much of a pain it can be, trying to find a solution outside of your web browser in a GNU/Linux system. Hiri, ((https://www.hiri.com/)) is an application specifically designed for this purpose. While Hiri is available for Windows and Mac, it’s nice to see it available for penguin users as well, and if you’re using a distribution that makes use of Snaps, Hiri is incredibly easy to install as well. The thing that may turn many people off? The cost. If you’re not able to use Snaps, you can follow the official guide to install Hiri, https://support.hiri.com/hc/en-us/articles/115003791229-Linux-installation-instructions. The first thing I’d like to point out, is that for anyone who is new to Snaps, be aware that launching them for the first time can take a little longer than normal, as a cache is built. That said, Hiri took probably 2-3 minutes to launch, but only the first time. Hiri is reletively straightforward, and easily synced up with my exchange account in just a few clicks, without any advanced configuration needed. Once I was in Hiri, I noted that the interface was very minimal, and thats something I seriously enjoyed. The mail composition page is simple, effective, and has everything that I think is needed for email, personally. Contacts synced nicely, as well as did my calendar, with the ability to make new calendar reminders, and actively sync them. So, the program works great, but sadly this does not come free, beyond a 7 day trial. Hiri has an interesting system built-in to its trial, where each day you use the trial, your cost gets closer and closer to the full price, whereas the earlier you buy it during the trial, the cheaper the price / steeper the discount. The Hiri website lists the price as $119 (assumedly USD) for a lifetime plan, or $39 annually, but these costs go down during your trial. Good chance I will buy Hiri myself in the near future, as I would much prefer to use it, rather than my web browser, and I have no issues supporting developers for their hard work. However, I can see the cost turning some GNU/Linux users off. Nonetheless, Hiri stands as a great piece of software for its purpose, and at the least, is well worth checking out for the 7 day free trial. A closer look at Hiri, an Office 365 application suite and Exchange for GNU/Linux operating systems. I purchased and used hiri for a year. $39 USD. 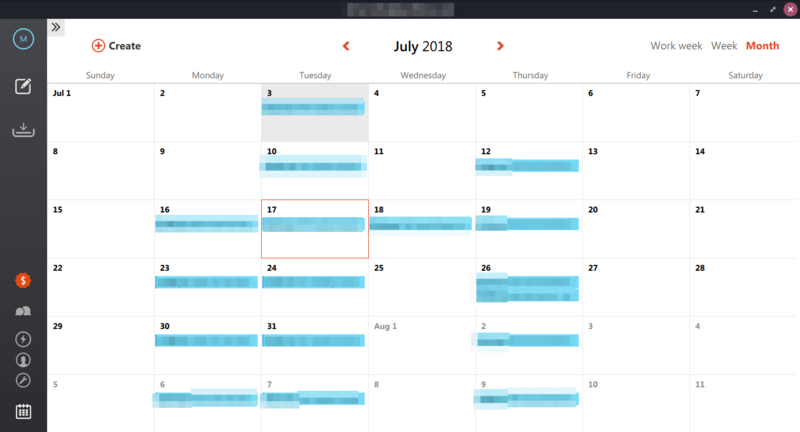 It worked seamlessly but the inability to change from their conversation based email setup and the inability to add shared google calendars made it frustrating to use. Bottom line was that I ended up reverting more and more to owa so that when my renew came about, I let it expire. My hat’s off to the developers for their efforts. I’m sure with time it will only get better. Snap applications like Hiri identify you personally and then use third parties like Google Analytics and AdSense to advertise to you including your email. Default privacy settings are opt-in the opposite of GDPR. The SNAP apps are isolated from direct owner control or monitoring. They have hooks into the rest of your files and operating system. The owner takes all risks and liability if the misbehave. The bottom line is many of the privacy benefits of open source Linux are discarded. Even the infamous Windows 10 has a privacy settings dashboard. Linux has never needed such controls or even virus checkers – until Snaps came along. I’m waiting for a Snap anti-virus checker (to start phoning home). From a security view you are probably safer with a tweaked Windows. We use the following tools in order to improve the quality of our products Mixpanel, Hotjar, AutopilotHQ and Google Analytics. They allow us to understand how our products are being used, i.e. the frequency of use of certain features etc. We use this data for internal use only. The Hiri product is based in Ireland where the EU has ruled gives unfair tax breaks to American big-data and social media companies. works against exchange servers 2007.2013, and iirc 2016. I have a mix of win10 and linux mint 19 clients here all using exchange 2013 for email. ExQuilla provides access to message reading and contacts in Thunderbird for users of Microsoft Exchange Server version 2007 and later. Previously this required a paid license. Versions 52 and earlier still require a license, but beginning in March 2018, those licenses are distributed automatically without charge. Upcoming version 60 will not require a license. 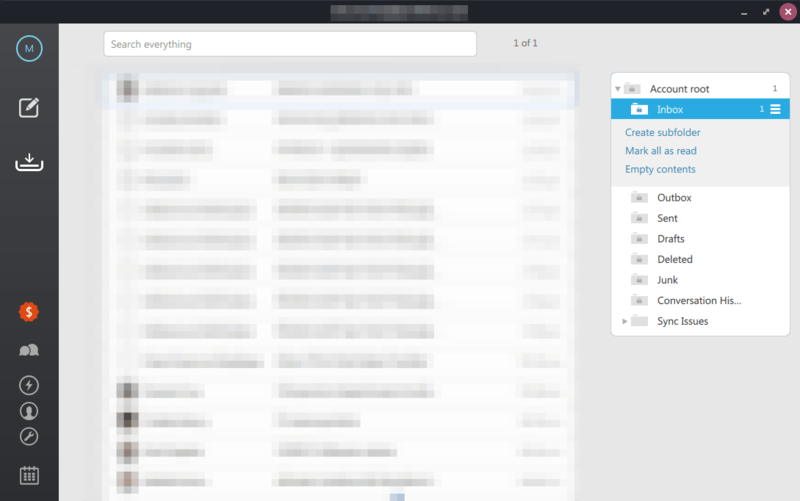 Organize your schedule and life’s important events in a calendar that’s fully integrated with your Thunderbird email. Manage multiple calendars, create your daily to do list, invite friends to events, and subscribe to public calendars.